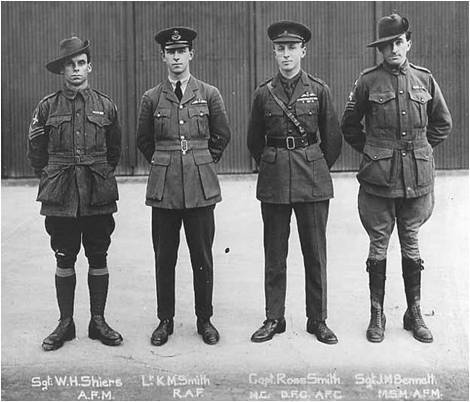 The formation of the RAAF Association – now known as the Air Force Association can be traced back to December 1919 in Melbourne. A former member of the Australian Flying Corps (Mr HV Leckie), believed that former members of the Australian Flying Corps (AFC) should welcome Ross and Keith Smith and their crew who had just completed the epoch-making first flight from England to Australia. He also wanted to establish a lasting organisation to keep the ex-AFC members together. Accordingly, Mr Leckie placed an advertisement in the paper asking former members of the AFC interested in forming an association, to meet him outside St. Paul’s Cathedral at a nominated time. Many of his former comrades turned up, including Lieutenant Colonel Richard Williams (who went on to be known as the ‘Father of the RAAF’) and as a result, it was agreed to form the Australian Flying Corps Association in Victoria, which was established in 1921. Similar Australian Flying Corps Associations were established over the following months in the other States. Throughout the subsequent inter-war years, the AFC Associations were linked with the aim of keeping the former members of the AFC together, through reunions and similar functions. In addition, the Associations assisted by raising funds to look after those of their members who needed assistance. As the AFC itself had been a relatively small organisation, the numbers in the AFC Associations were small. With the coming of World War II the AFC Association opened the doors to the thousands of young Australians who were now, literally, pouring into the Royal Australian Air Force. Consequently, the title of the Association was changed to Air Force Association in 1943. The Association was incorporated in New South Wales on 6th November 1995, and has adopted the title Australian Flying Corps and Royal Australian Air Force Association Incorporated. However, it is better known as the AIR FORCE ASSOCIATION.